Why One Should Get Their Christmas Shopping Done Early? Christmas time shopping sounds heavenly in July, but when it finally does arrive, it gets a slight bit daunting to think of all the people you have to buy presents for, the things you wanted to get for the house and for yourself, and goods for planning any parties you might be arranging for the festive season. For some, the sheer scale of the work puts in several things to consider and keep track of, such as items and prices. It’s easy to go overboard and spend more than you intended, or to forget to buy gifts for people who are important to you. Hence, however much you may enjoy it, shopping at large scales should also be done with a little bit of planning. In general, it is a fairly good idea to start your shopping around a month before the Christmas week. This gives you enough time and opportunity to pay multiple visits to the right places both on and off the internet so that you can get presents as suitable as possible for the people for whom they are intended. Here are a few tips that would allow you to handle the event methodically. It’s a good idea to download a shopping list app off the internet that allows you to categorize shopping lists and assign them not only to people but to shops. Then, you can pick a present for everyone you like and assign the item a shop. 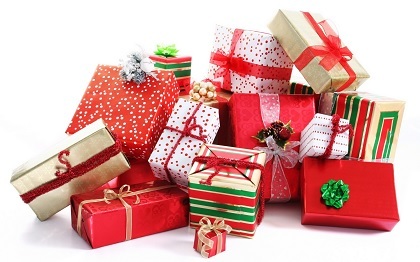 Finally, when you go out shopping, you can arrange your shopping trips in accordance with this information and buy everybody presents with the least amount of effort. This will save you time that you can spend doing other things that get you into the Christmas spirit. By and large, the best way to budget for large scale shopping ventures is to categorize the people you are buying presents for in terms of the money you plan to spend on them. Then, you leave out about a fifth of your budget as offset, and divide the money as weighted equals between each of your family and friends. Now, while you do not have to follow this exactly, it will still give you an idea of how much you can afford to spend on a single present. Eventually, it will prevent you from buying very expensive presents for some and relatively cheap ones for others. Having time at hand is essential for a number of reasons. After Dec 15, the streets and supermarkets are going to be full of swarms of shoppers. This will prevent you from giving each item of present the time and attention in picking that they deserve. Also, there are inherent problems with parking, packing, and other forms of transportation if the crowd is overwhelming. Hence, it is a good idea to get your shopping done at least ten days before the Christmas so that you can have a nice time. During Christmas the shop owners, malls, local shop and others increasing their prices to double or even triple at times. Things become every expensive & even the quality differs. So, this year my only aim would be to get my groceries, Christmas items, gifting, clothing & more shopping to be done 45-50 days prior to Christmas.